Is there a better alternative to TextBatchConv? Is TextBatchConv really the best app in Applications category? Will TextBatchConv work good on macOS 10.13.4? 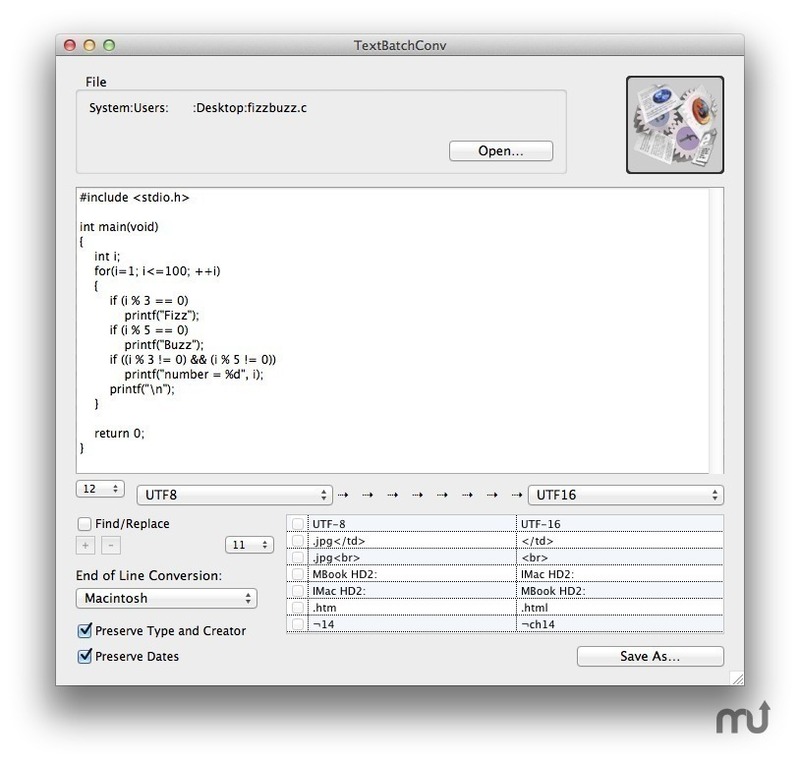 TextBatchConv (was ConvertEncoding) allows you to save a text file (.txt, .html, etc.) with a different encoding, and with different end-of-line formats. It's also possible to find/replace text, and work in batches. TextBatchConv needs a rating. Be the first to rate this app and get the discussion started!